Manufactured in the U.S. Blazer Brass 9mm ammo by CCI is the optimal choice if you want bulk 9mm ammunition. They features 115 grain, full metal jacket, and brass casings for reloadable options. Non, corrosive, reloadable ammunition with boxer primers available to you in 50 round boxes. Order 20+ (1000+ rounds) and get FREE shipping. Where is the rebate form? It said free shipping on 10 boxes ? BEST ANSWER: Free shipping on 20 or more. 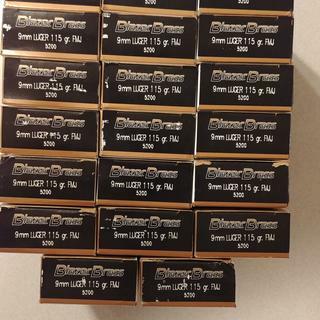 will this ammo rock my glock if I am very good shooter of course? 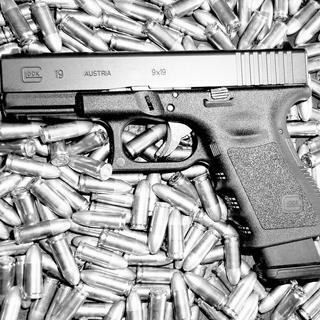 BEST ANSWER: It goes bang every time you pull the trigger... nuff said!! It does in my 26 and 43. Can this be shipped to my home? Yes, via UPS. Unless prohibited by state law. do you have to cut the UPC code from EVERY box you purchase to mail in w/ rebate? or will just one UPC do? BEST ANSWER: You should put out a little effort on your own and read the instructions on the rebate site. The online rebate form states"Product must be purchased between 11/16/2018 through 12/2/2018" . this IS NOT in agreement with the PSA ad above. This make me insecure :) What gives? BEST ANSWER: The 11/16/18 - 12/2/18 purchase rebate is for the Thanksgiving promotion. The one for the 12/3/18 - 3/21/19 is the new promotion. Get the right rebate form. Valid for purchases made DEC 3, 2018 through MAR 31, 2019. That is directly from the rebate form itself. How can I redeem the mail in rebates? BEST ANSWER: Don't they have instructions on how to do this? Stop being lazy and check, read, ask questions to PSA or CCI. I did not ask the question but I’ve been trying to find out he same info. They don’t have instructions posted and they’re impossible to reach them by phone and they don’t reply to email. God help you if you buy something and have a real problem. Is this 9mm or 9mm +P? BEST ANSWER: NOT +P. Just regular old 9mm range blaster FMJ ammo. Good stuff, though. Don't hesitate to buy and use for the range. It is just 9mm. Great quality ammo! Why it it listed on the box "Not for Law Enforcement Use?" BEST ANSWER: It is a full metal jacket bullet. Target round. Not used for defense! I would say because these are range type ammo- rounded projectile vs hollow point or expanding. Less shock and knock down power. Where specifically is the rebate form? The URL? BEST ANSWER: I can’t include the direct link, but if you search for Vista Outdoor Promotions online you can find their page for the Ammo rebate. What is difference between CCI 5200 & regular CCI? BEST ANSWER: 5200 is just a part number they have different part number depends on caliber and grains. 5200 is for 9mm 115 grain FMJ 50round packaging. Would this suppress better than 124gr bullets on a PSA AR9 8" barrel? BEST ANSWER: Nope. It has a higher muzzle velocity. You would want 147 grain or higher subsonic ammo to suppress better. Good price on quality ammo. Great target ammo. Love the free shipping from PSA. Blazer Brass always works great in both my 9’s. The price was very affordable especially with the free shipping. Thanks so much! Love this ammo and can't beat the great prices from Palmetto State Armory five stars!! Shoots great no problems!! Love this ammo buy it all the time!! Great ammo, great price!!!! Glad you were recommended to me by a retired police officer and friend. I’ve fired about 800 rounds and no issues to report. Can’t beat the price AND free shipping! Hell of a deal, way cheaper than the local guys! Great ammo, PSA was quick to ship! Best price on the internet for the best range ammo on the market. Quality ammo for semiautomatic pistols. Great ammo for the price. Would definitely recommend it. Always use Blazer Brass over other ammo and always feeds and shoots well in all my guns. Would definetly recommend. Great price and very fast shipping. The 1,000 rounds of 9mm FMJ are great rounds for the price. The price is good and it shoots great. Runs great. It’s a little bit of a soft load, but no functionality issues. Would recommend if you’re not running a comp with a factory recoil spring. Love the price. Buy a lot, shoot often. Support our rights. Very good range rounds through my s/w, Canik, Glock, xdmod2, and fns’s. No hi-cups in 500 rnds each. Would definitely re-buy. Always good service and delivery. Good plinking ammo especially for the price. Would buy again. Great range ammo at a good price. I bought 2k rounds of this ammo to use at the Tactical Response Fighting Pistol and Advanced Fighting pistol training courses. The ammo ran great, I noticed no issues that could be attributed to the ammo. I just wish the promo worked, I have tried several times to complete the online forms, but it always comes up with an error code. I would have liked it better if I would have received the mail in rebate coupon or could have reached someone on the phone. Nice range ammo at a very nice price. Thank you PSA. And a nice rebate. Thank you CCI. Shipped fast and have already ran through 200 rounds of this ammo. Love the AR9! It's my favorite AR...love shooting it and would purchase another PSA in a heart beat! Good stuff at a good price. Never a function issue. Goes bang! Waiting on the rebate for an even better price! Great for what it is. Cycles reliably. Shoots straight. Great for the range. It shoots a bit on the dirty side, but that is expected. Cleans up just fine. No hesitations using in my Glock. Great for target practicing at a reasonable price. Quality ammo at a good price. This ammo runs well and is accurate. Bottom line, it works and the price is right. This stuff seems to be great. I poked over 700 holes in paper over three days, and never had a single issue. Great price for good ammo. It’s 9mm ammo. That’s really all that needs to be said. I’m through 500 rounds and I’ve only had one bad round. I would say that’s pretty good for range rounds. Found this ammunition to fire very well. No issues with on range at all. Bought 2 cases of this 115 grain because it was so cheap. Reliable and pretty clean. But I do get a huge muzzle flash out of this stuff. Big difference between this Champion, S&B, Lawman, Geco... Get the same flash in my Walther PPS 3" and H&K VP9. 4". Maybe my new 5" VP9L will burn it all before it exits. Works just fine for my needs. 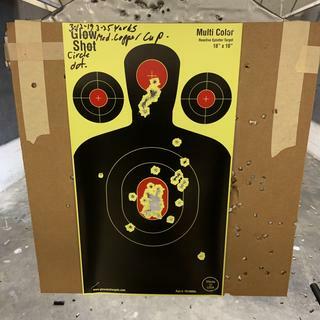 Short range pistol practice. No failure to fire or feeding issues at all. I would recommend to anyone. I purchased the ammo and nothing was sent to me to get the rebate. 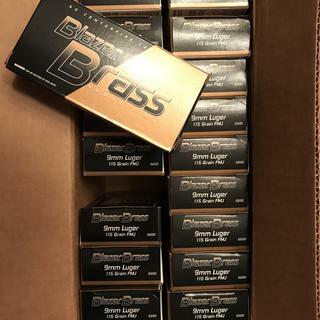 I purchased 1000 rounds of this 9mm Blazer Brass ammo to get the free shipping, which really helps to bring down the cost per round, especially with the rebate promo that is currently going on. I use this ammo for target practice, range shooting, and plinking and have not had any issues with any of it at all. I would recommend this ammo to anyone looking for quality, low price 9mm ammo. Best deal is on the 1000 round bulk purchase. Never a misfire. Good use with 2,000 rounds fired. Cleaner than most competitors. No failures of any kind.